It is a telling testimony of the quality of our workmanship that potholes appear every year necessitating relaying or re-asphalting of roads. It has almost turned into an annual exercise that is a drain on the exchequer. Experts argue that the shortcoming is not in technology, but a deliberate attempt by the unholy nexus of municipal authorities and contractors to generate works every year, with the aim of siphoning taxpayers’ money. One is also amazed with the workmanship and the expertise used by the engineers and contractors that potholes Arise and awaken at precisely the same spot each year. I need not be specific but Khanapur road Camp, Congress Road is an example. 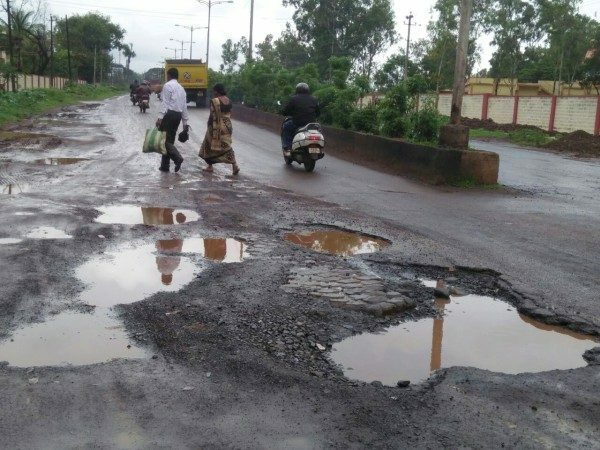 Even roads which are experiencing their first rain (Khanapur Road Tilakwadi) have also now have some beautiful potholes to add more glamor. 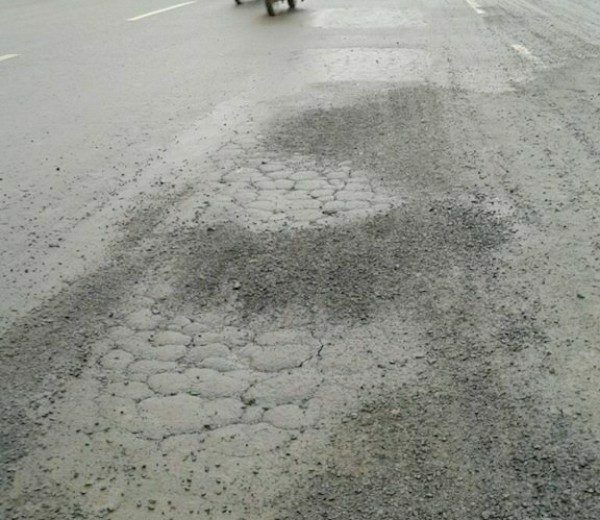 Not only potholes, some patches of road even sink and are not leveled which makes the rider a bumpy ride, it may be just to awaken a sleepy driver maybe. Some areas have been totally neglected and if one passes on that road we have to look at it closely with a microscope may be to find out some asphalt. Again potholes are due to the meticulous planing amongst the utility service providers, road is relaid and the next day UGD, water or Telecom guys come and dig it. To add to the addition now we have the HESCOM UG cabling and also the Gas pipeline digging. These guys dig it just fill it up with mud and if one is lucky you also see some asphalt on it, but after some times the entire patched lane sinks inside as it was not leveled. There are few lucky roads which get relaid with new asphalt each year as there are VVIPs who commute and there are some which havent been asphalted for years. The Dr. B RAmbedkar road was been re asphalted sometime back, but the work was done in such a hurry that even when the Gas pipeline work was going on the road was asphalted. Even now about 2 feet of the road next to the Civil hospital side is not in level with the new relaid road. So, Why this hurry? The entire road could have been re-asphalted once the Gas pipeline work is over and we could have seen a better road. For the past many years many roads in Belagavi have seen road widening and the new roads made are state of the art architectural wonders if we can call them. Many a places the widening was over long back but roads havent been completed. Now there is a new trend of filling these potholes with Pavers, which is a easy and good way out but it is a temporary solution. Now two roads will be made as Smart roads under the Smart city project namely Mandoli Road and KPTCL Bhavan road. Here smart means the Work will have to be executed as per relevant MORTH, IRC, KSRB detailed specification & national building code & as per relevant bureau of Indian standard specifications. Now does it mean that other roads dont have any specifications at all, and these specifications which are there on paper alone should not be implemented for all the roads? So until the Administration gets smart enough, brace yourself for a bumpy ride. The administration is not dumb. They are all taking us for a ride. We pay taxes and they rip us off using the “system”. Road and Highway construction are major area of corruption.This is reason for less durable roads. Government should come up with some stringent rule for contractor like construction guarantee etc. 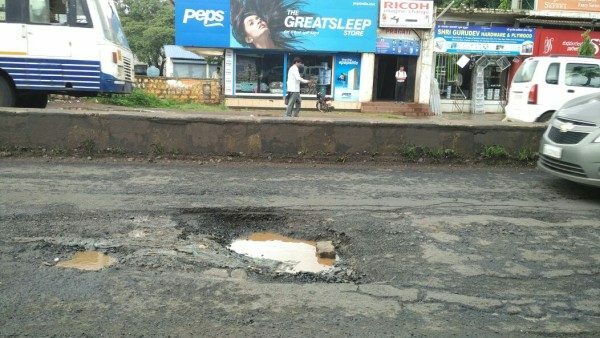 Even after 70 years of Independence our Engineers are still learning the art of making good roads. Very good coverage I hope the govt administration takes the action swiftly. Till such time the concerned officials are held accountable citizens will continue to suffer. We should seek information about the money spent on road repairs through RTI and then file PILs to question the repeated expenditures on certain stretches of various roads.